Sulcer first thought was that he was being pranked. 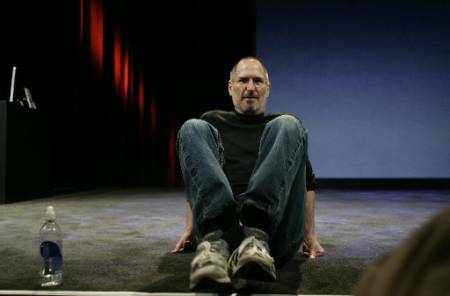 “He called me and said, ‘This is Steve Jobs from Apple.’ I said, ‘Yeah right,’ ” Sulcer tells Rolling Stone. “I have a son that loves to play tricks and he does that every now and then — calls me and imitates somebody.” After three or four times of asking “Come on now, who is this,” Sulcer realized that his caller ID read simply “Apple,” and only then did he believe that he was the winner of the contest and a $10,000 iTunes card.